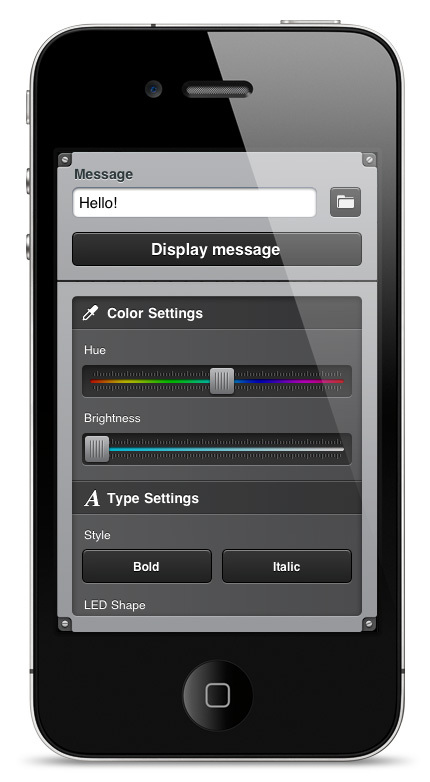 LED messages on your iPhone or iPod Touch! 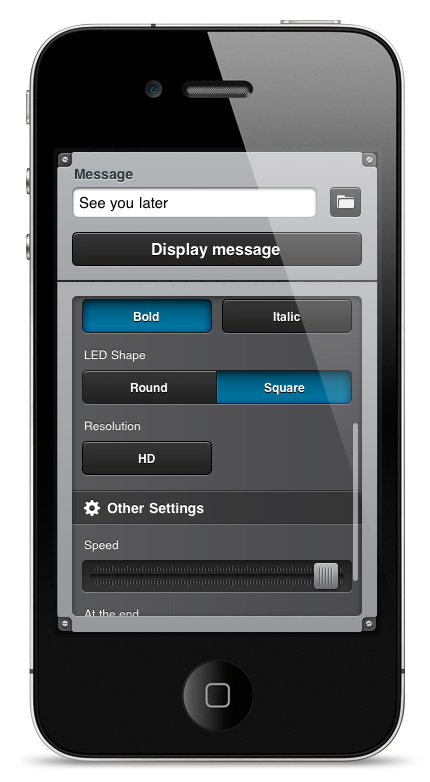 LEDit is a LED screen emulator for the iPhone and iPod Touch. LEDit is great when you need to say something to your friends and they can't hear you, such as in a club, in class, in business meetings, etc. All you have to do is type your message, hit the 'display message' button and point your iPhone or iPod Touch to your friend. 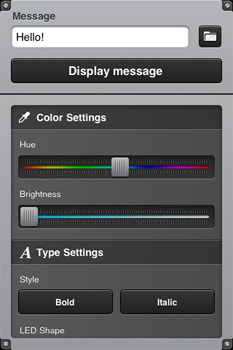 LEDit will scroll your message on the screen. What makes it evn better is that it offers the possibility of vibrating when the message has finished scrolling, so you know when it's done (vibration is replaced by a beep on the iPod Touch). Use it at school, at work, in traffic jams, in clubs, ... Use it to ask a girl out, to tell something to your favorite artist in a concert. Speak to your pals 10ft away in your classroom without the teacher noticing. Say something funny to your co-workers during a business meeting. The possibilities are endless. On of our users even used LEDit to make a Daft Punk costume for Halloween. Choose the flavor of your message depending on your mood. 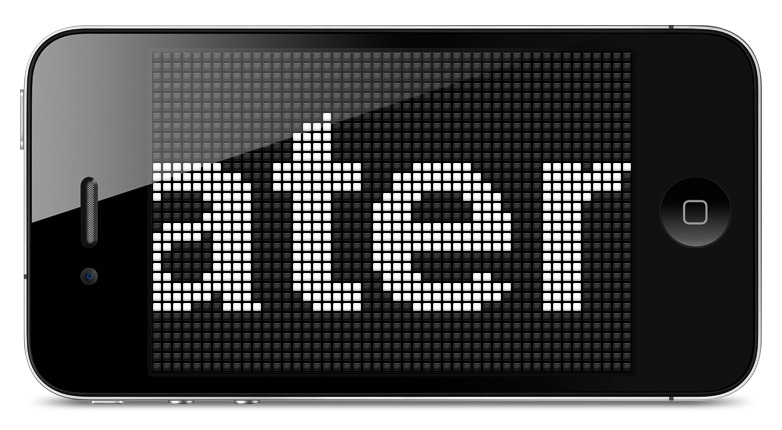 Know when your message has finished scrolling. The iPod Touch beeps instead. 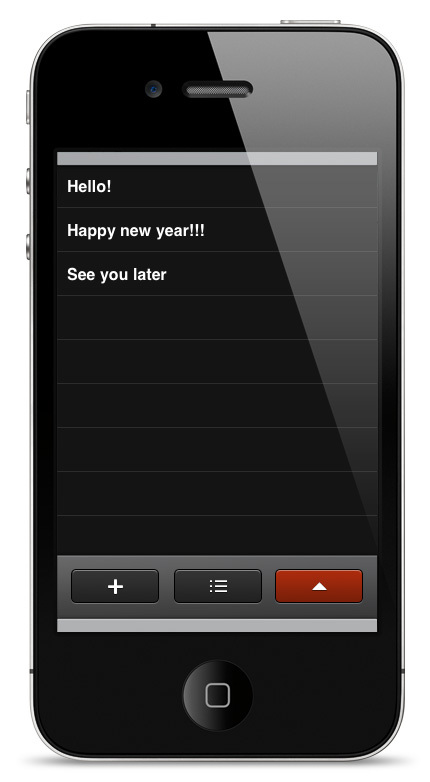 Save messages for another time. You never know when you're going to need them. Leave your message scrolling, over and over again. 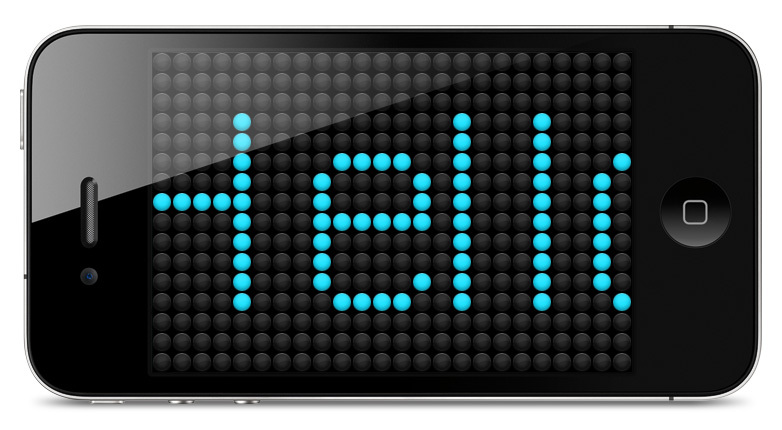 Pixel-perfect animated interface and interactive buttons and sliders. Unlike other similar applications. LEDit doesn't limit the message length. Choose between high definition or low definition. If you're not sure LEDit is for you, we have a free version. Give it a try and, if you like what you see, get the full version and enjoy all the features. "Try this when ur going through town and totally smashed in the taxi what a laugh." - Luv2muff, App Store review. "Lots of fun with this app. Amused me and my kids for hours!! :)"
- PeggySusie, App Store review. "This is one of the very few apps that is actually very useful while being great fun at the same time.....brilliant!" - N?NI, App Store review. 2019. Sweeter Bit S.L. All Rights Reserved.